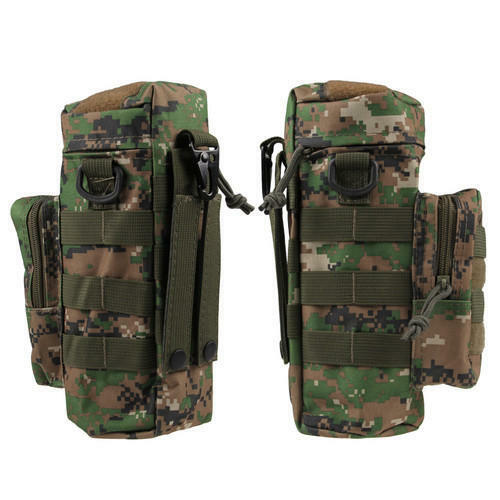 Keeping in sync with the latest market development, we are engaged in providing a high quality range of Army Water Bottle Cover. Incorporated in the year 2014 at Delhi (Delhi, India), we “Kishan Enterprises” are instrumental in Manufacturer, Trader and Wholesaler a comprehensive range of Army Caps and Hats, Army Shoes, Army Uniform Accessories, etc. We are Sole Proprietorship Firm that runs under the guidance of “Banwarilal Sharma” we are able to meet the exact needs of clients.